Planning a private party this year? Book a party with us. The Wells Cafe and Bistro is a family restaurant with a friendly and relaxed atmosphere. We offer the finest locally sourced ingredients cooked to the highest standards. Our menu changes weekly to ensure the best use of seasonal produce and all our dishes are freshly made on the premises. 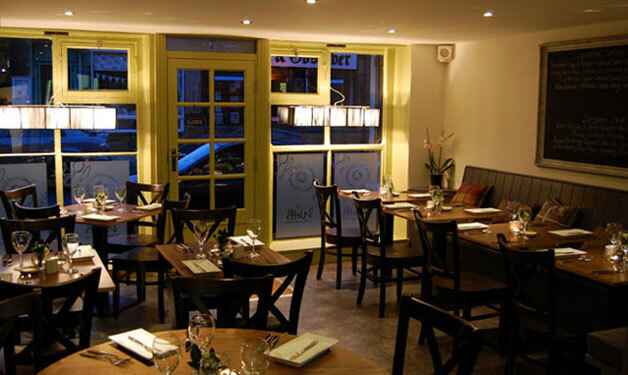 "Gorgeous small bistro with consistently fabulous food, excellent service and great reasonably priced wine. Love it!" Completely refurbished in 2012, we can cater for families on our early sittings with more intimate dining on our later sittings. Sign up for our mailing list and be kept up to date with news and special offers. Your details will not be passed on to anyone else.